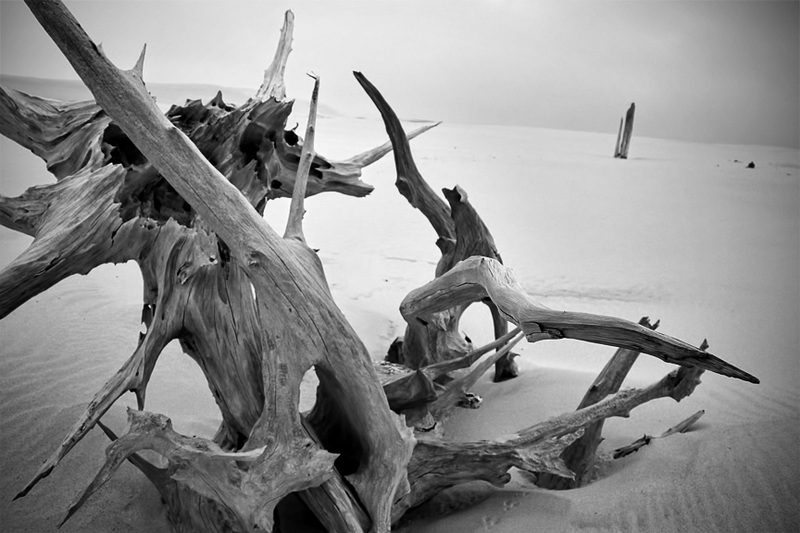 I was standing next to this group of pine tree stumps, buried, bleached and blown smooth by sun and sand. I photographed this marvel many times throughout my various adventures to the dunes, but today, I wanted a different perspective. I racked my lens out to 10mm, the widest it would go, and moved in as close as the lens allows (which is just under 12 inches). I wanted to make it seem as though the protruding root near the lower part of the left side of the frame was reaching out to draw the viewer in. Through the lens it looked distorted and perfect, but being wrapped up in moment, I failed to realize this 2 dimensional photograph wouldn't hold up the same way as my feeling in that moment. This is one that got away. I was wrapping up a session on the dunes one evening, trying to make it back to the parking lot by a specific time, as I had a dinner date with friends later this particular evening. It wouldn't be long now, I told myself over and over as one new fascination after another keep me shooting. 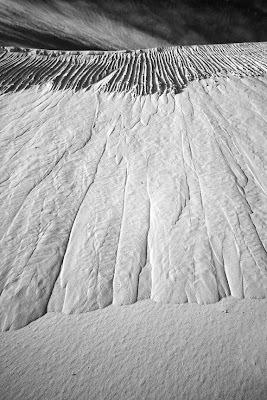 I crested one dune only to find myself face to face with a sand formation I'd never seen the likes of during my entire travels. 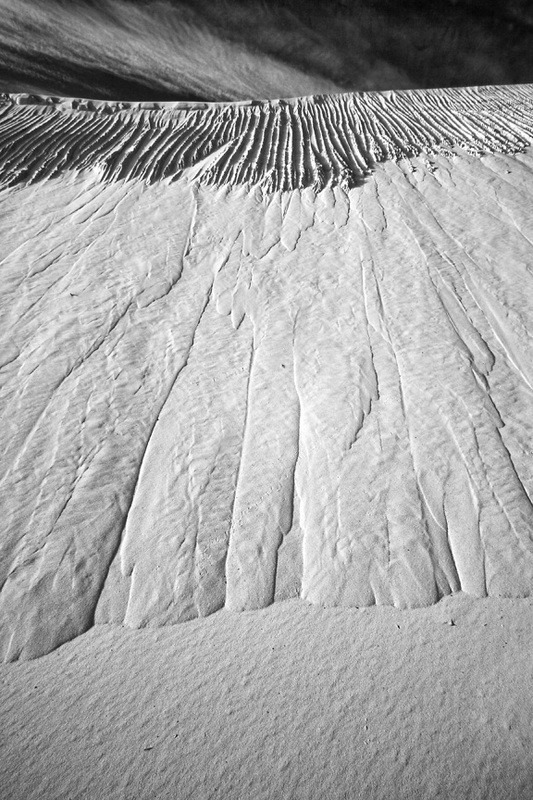 The southwest side of this dune had taken on a new life. I wanted to photograph it for hours, all the details, the light of the setting sun, everything about it was perfect. The only problem: just as I set up the first frame, my phone started to ring. It was Rebecca, my wife, telling me she was leaving the house without me and to hurry up or I'd be late for dinner. Cursing myself for having a life and not finding this enigma earlier in my travels that day, I made a few more frames and left. I never did make the photograph I wanted of this spectacle. Wonderwall took its title from the fact I will always wonder what could have been. This is one that got away. 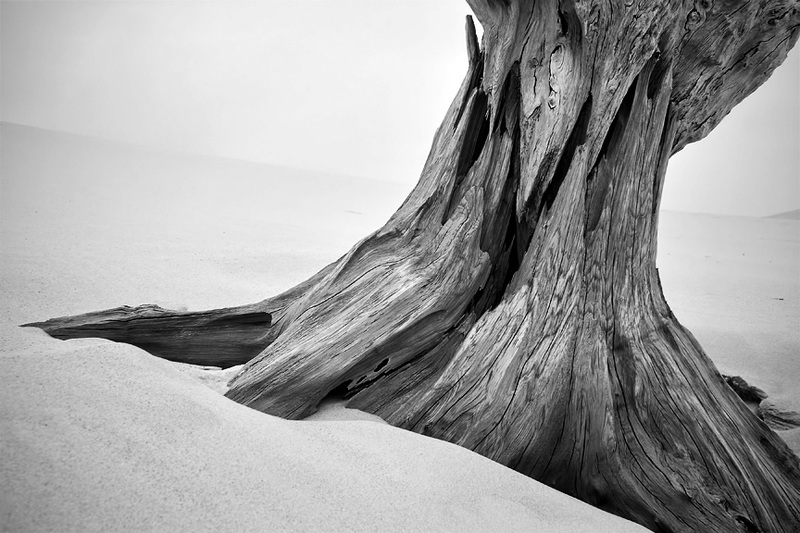 The old pine stumps are a favorite subject of mine while I hike around the dunes. One over cast day, I found myself wandering, not willing to give up the chance to make something new. I found myself in a group of stumps near the base of a high dune. It's a small valley, I seldom visited, because in the past, it was difficult to make vast landscapes. This day, I found myself getting closer for details. Crawling around in the cold sand, filling my pants, my pockets and even my beard with little reminders of my endeavors, I pushed myself lower, sometimes digging myself into the sand, so I could shoot at a different angles. This stump proved to be the most difficult of the bunch. I just couldn't position myself in a way that flattered it or allowed me to show it the way I wanted. While I like the photograph above and while I picked sand out of my teeth for days because of my image quest, this was also one that got away. I'm not saddened by the ones that get away, they make me a stronger photographer in the end. While these images will not grace the pages of the INVISIBLE book, the images and stories are worth telling. 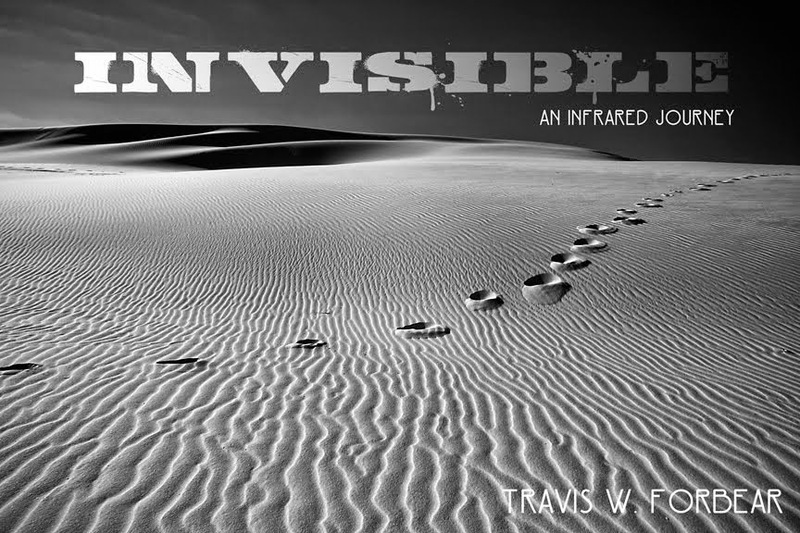 After all, INVISIBLE has always been about the adventure, not the destination.